Almost a year after the Maine Black Bears came to Hamden and swept the Bobcats in convincing fashion, Quinnipiac returned the favor this weekend as they blew out Maine 7-2 on Friday night followed by a 2-0 shutout win on Saturday night. The win moved Quinnipiac's record to 11-2-0 (4-2-0 ECAC). Tufto had a five point night behind a hat trick and two assists while Chase Priskie and Brandon Fortunato had two assists apiece and Ethan de Jong had a goal and an assist. Andrew Shortridge was strong in between the pipes with 33 saves for his fourth win of the season in as many starts. Saturday night was a much closer game as both teams played a stronger defensive game keeping grade A chances to a minimum. The teams played a scoreless first period mustering on 15 combined shots on goal. It wasn't until almost mid-way through the second period when Scott Davidson rushed the net with a shot that Swayman saved but the rebound found the stick of Michael Lombardi who slipped a back hand pass into the slot which found Zach Metsa who slid the puck past a diving Swayman for his first collegiate goal. Metsa became the sixth different Quinnipiac freshman to score a goal this season. Quinnipiac goaltender Keith Petruzzelli made the save of the game with 3:40 left in the second period when a puck was in the air heading behind him in which he swiped it out of the air while falling backwards. The Bobcats got an insurance goal from Ethan de Jong just a little over two minutes in the third period off a rebound from Tufto's initial shot. 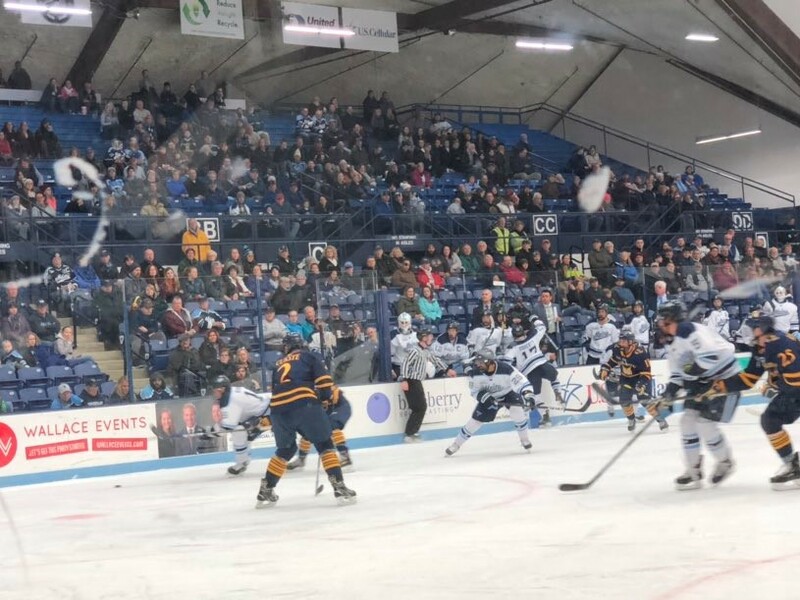 After the goal Quinnipiac had to face a flurry from Maine as they pressured the Bobcats constantly in the third period with 11 shots on goal. Maine struck iron twice in this game as it happened right after the Metsa goal in the second period along with another chance in the third period. Petruzzelli was a rock tonight for the Bobcats and was Quinnipiac's best player on the ice. He made 23 saves for his second consecutive shutout and third of the season. Maine deserves a ton of credit for battling hard in the second game of this series and taking it to Quinnipiac at times on Saturday night. 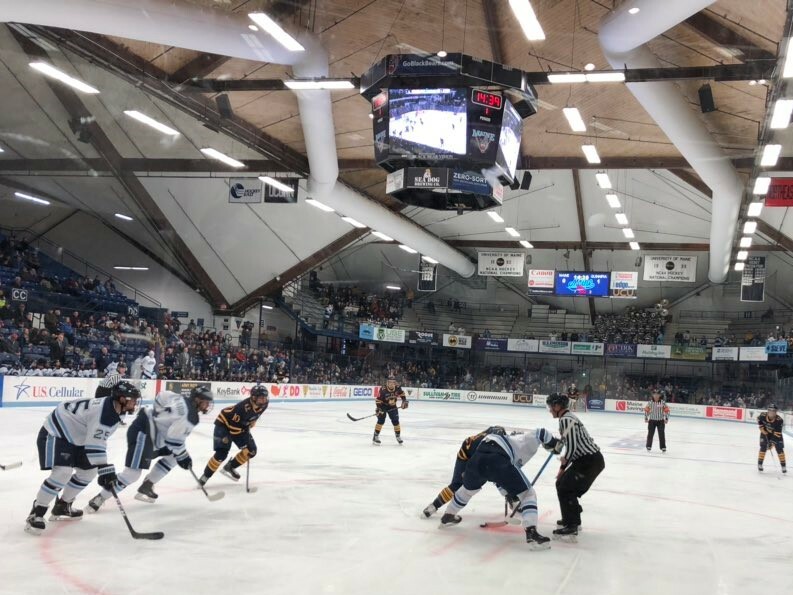 Quinnipiac now returns home to play a home and home series with ECAC travel partner Princeton as they will meet in Hamden on Friday night followed by a game the following night in Princeton at the Hobey Baker Rink.